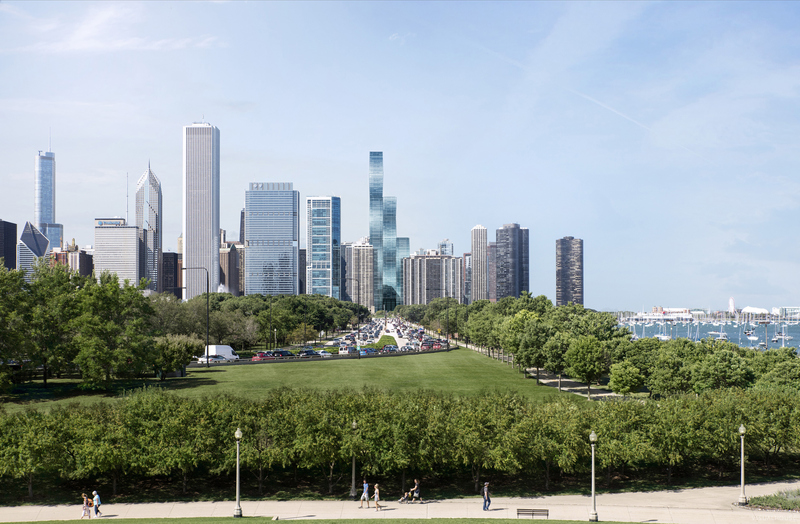 In 2020 Chicago is set to host its third tallest skyscraper designed Jeanne Gang of Studio Gang Architects. 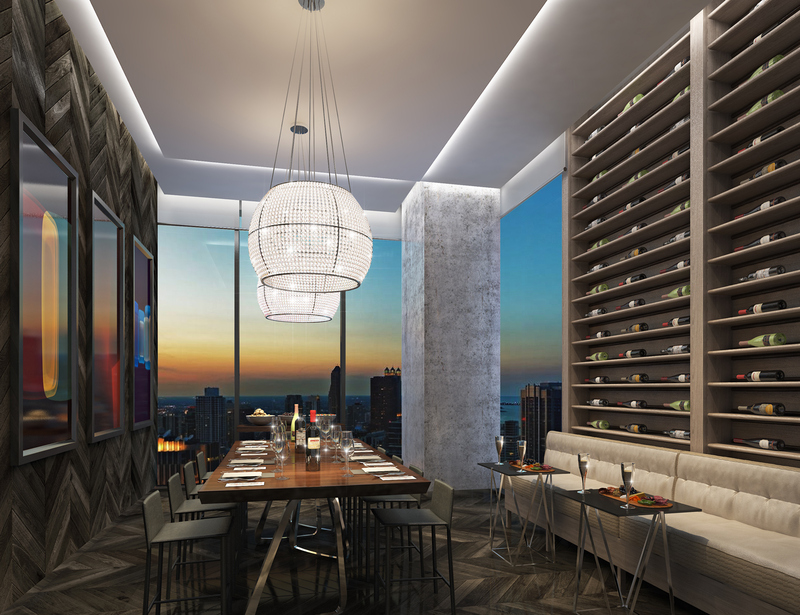 The esteemed Jeanne Gang of Studio Gang Architects has designed Vista Residences, expected to be the third highest building in the Windy city. In the creation of Vista, Studio Gang stumbled upon a naturally-forming geometry found in nature inside crystal formations, fluorite and sapphire called a frustum. The practice was taken by the architectural shape and through stacking and turning them it could create an undulated, flattering silhouette. This technique allows for exquisite views towards the city or skyward. Studio Gang used a collection of lake blue hues to create a gradient across the vertical. The hotel and apartment residence will reside in Chicago's Lakeshore East, an innovative new area of the city that is part of a master transformation plan by Magellan Development Group. Jeanne Gang says Magellan shared the vision of Studio Gang Architects in creating community spaces, 'They understand what it means to do good architecture', said Gang. Gang's practice has a unique approach to design with its choice of materials, 'We take ordinary materials and make extraordinary buildings,' said Gang. 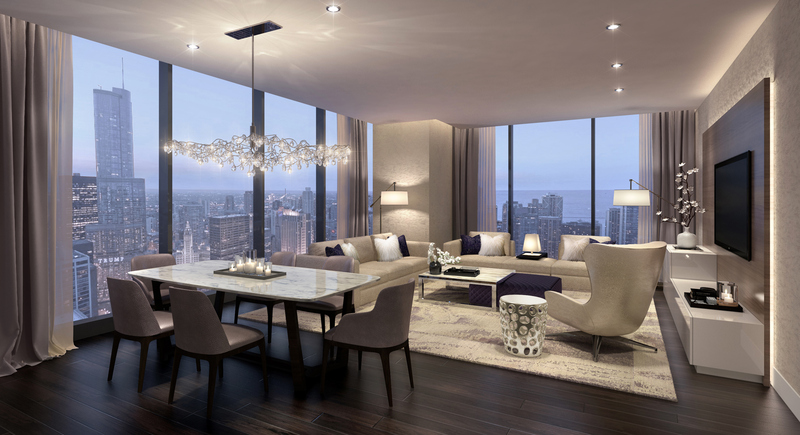 The much-anticipated title of the residences was finally released in mid September. 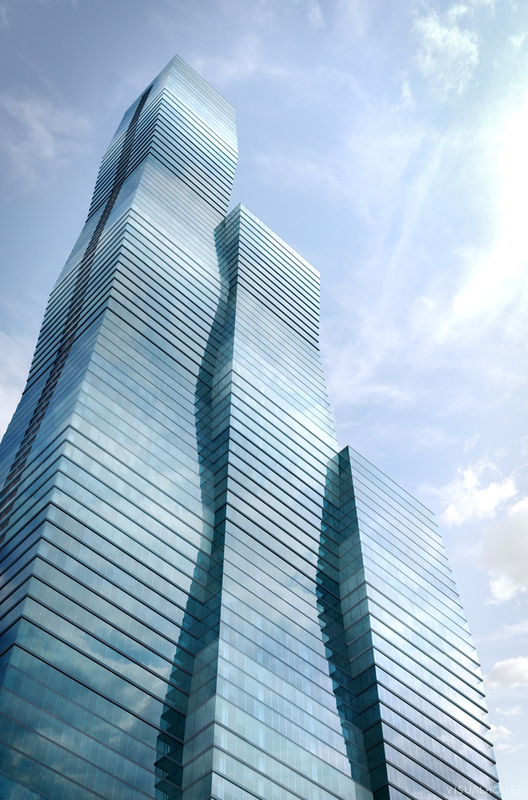 Vista Residences will contain Wanda Vista Hotel and residential accommodation. 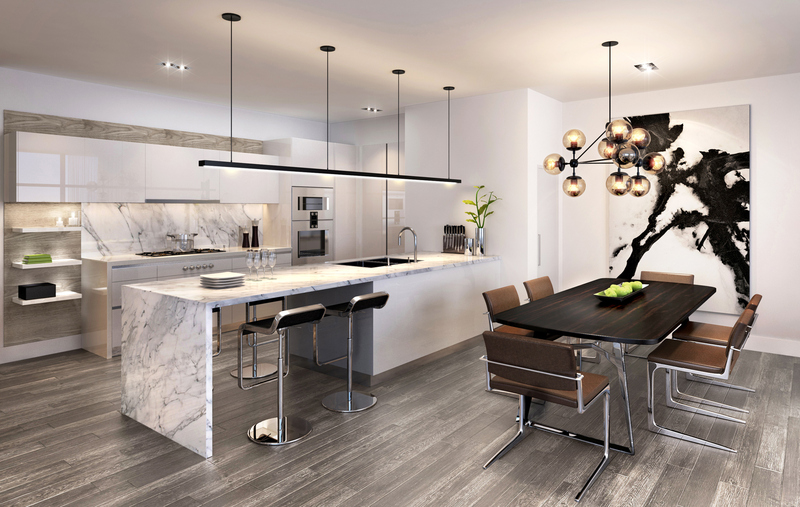 The refurbished interior features spacious apartments averaging 2,500 sq ft - a rarity for high-rise living these days - and luxurious amenities such as a wine cellar, tasting room and demonstration kitchen. The building is expected to be completed by 2020. The solution to London's transport problem?